Respect to those winemakers who push boundaries. A standing ovation for Michael Papps particularly for how easy he makes "different" look here. This is the first time Mataro makes an appearance in the Second Take range, and honestly, where has it been! I do love Mataro done well but this has point of difference on so many levels. 100% whole bunch fermented with eight months in old French oak. Overflowing with berry fruits, pomegranate, dark cherries, plums and five spice chimes in at the death. Crunchy apple like acidity settles the longer it is in the glass. There's a good kick of Barossan earthiness about it too. A shimmer of peppery spice breezes through. Medium bodied and ridiculously approachable, this says more about the maker than the fruit used. The whole bunches used certainly doesn't bog down the fruit nor does the funky component steal the limelight. Complexity and approachability all in one. Only 400 bottles produced - it's worth doing your best to find some. Some new release samples from O'Leary Walker turned up during the week, and whilst I have always liked the wines from these guys, I can't say the same for the new labels. Ewww. I'm just pleased I drink the wine not the labels. To me they look cheap and strike me as a supermarket homebrand type - and the duopoly have plenty of them as it is. I wouldn't buy it based on that and I'm sure many others would bypass them too. But then again, many would purchase them for that same reason I suspect. It's a relief that the contents measure up well though. Passionfruit husk, green melon, pineapple, fresh snow peas. A little grassy but the freshness and crisp finish can't be questioned. There's a greenish edge to it too. Chill hard and enjoy poolside. Sauvignon Blanc with a bit of thought to it - that's how I like 'em! Three months in three year old French oak, three months on lees. Creamy with plenty of depth, a far cry from that sameness which floods the shelves. Melons, passionfruit and a suggestion of summer stone fruits. The vanilla character imparted from the oak walks to its own beat and really pulls this wine together nicely. A well deserved round of applause needed. Ready to go now but will cellar for the medium term. Bargain hunters step right up! Rejoice for pizza night. You'll be able to track this down for around ten bucks on special, and simply, it's supreme value drinking. 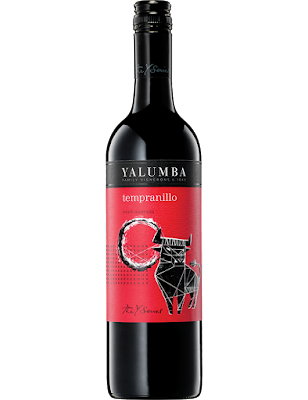 It's fair to suggest this is the little brother to the Running With Bulls Tempranillo. The quality and delivery at the price point is hard to fault; Y Series does it again. Buckets of soft blue fruit, chocolate and dried oregano. Peppery spice strides through with ease. A dab of fruit sweetness to finish but that soft fruit keeps calling me back - a bargain deluxe. Drink within the next couple of years. If there's one variety in the Y Series that hasn't clicked with me it's been the Cabernet. This is a simple drink, and let's face it, for the money it's ok but then I'd lean to other reds in the range given the choice. Leafy, capsicum, blackberry, mint and chocolate - the usual suspects appear. Delivery is thin though and not offering much intrigue. It just simple. Oak is a little chunky and the finish is drying and saliva sapping. Give me the Tempranillo any day. Fresh aromas of lemons, limes and white flowers. Crisp, there is a greeny tinge to the delivery. Some phenolic grip and crunchy acidity. A good drink. Chill hard and enjoy. The sceptic in me is thinking that this is an attempt to replicate New Zealand Sauvignon Blanc. The similarities at the price point seem too coincidental. I'm happy to be wrong though. Grassy with a big whiff of cut capsicum. Some tropical fruit flavours but that capsicum shifts to the palate and lingers large. A very expressive wine with lots of appeal. Cloves, twigs, lots of savoury aromas. Dark berry fruit, dark cherries, thick skinned plums, chocolate and a crack of pepper. That dash of spice just completes the package well. A hint of cedary oak but those savoury characters seem never ending. I'd line up for this again, no question. Lime leaf, lime juice, and a touch of lime pith all for good measure. Juicy and generous. Acid a tad perky - this has long haul factor. A little taut but it slowly releases that grip as it warms in the glass. Time also reveals some lemony characters. The simple gesture of going back for more top ups says it all. An interesting story... Winemaker Peter McGlashan calls his premium Chardonnay WYP if the quality is there. WYP? Wet Your Pants! So when this was on the bench McGlashan was ready to label it as such, but the owner talked him out of it. Soon after it scooped the pool with three trophies and a gold at the Australian Small Winemakers Show in 2015. It's never too late to WYP! Barrel fermented in French oak, delicious vanilla characters stroll through with elegance. A beautifully balanced wine, yellow peach and typical stone fruit, apricot kernel and grapefruit are all prominent. A squeeze of lemon acidity flushes out to a long and satisfying finish. I tasted this at the cellar door and I was captivated. So much so I bought several for the ride home. Will cellar long term and I'd be fascinated to see how this one develops. If I can restrain myself that is, having already ripped the cap off a few. Super buying for the money and respect here for a little operator not gauging the customer and upping the price due to trophy and wine show success. This is why you want to drink Grenache. Boom town right here! Light 'n' bright in the glass, it's a little cloudy and sits on the lighter side of medium bodied. Some stats: 31% whole bunch, 21 days on skins, 100% old oak for eight months. 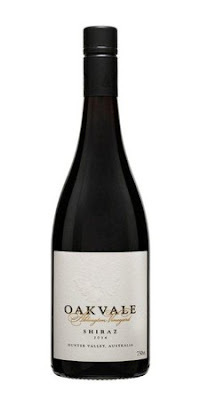 Bright red florals, plums, juicy red fruits highlighted by raspberries and strawberries with a dusting of pepper, nutty complexity, pan juices and African spices. There's not many sample bottles I inhale but the pure deliciousness and super smash factor make this a belter to run for. Will cellar medium term, but why wait? More please! This signature aged release comes with five years under its belt. It's already hit the aging phase and is a little bit more developed than I expected. There are still many aged examples around the Hunter presenting as though they were made yesterday and they have years on this 2011. Lots of lemon rind and preserved lemons on show. Good weight, that kerosene trait synonymous with age is peering through. There's almost a cheesy aspect the more I look at it. The acidity still has a brightness to it. Will continue to develop for up to another ten years. The press release accompanying the wine is glowing with praise - a result of wine show success. It must be me coz I just don't see it. Mulberries, blueberries, plums, bitter coffee oak slides on in. Some good aromas here. A fair hit of peppery spice rattles through. Citrusy like acidity to finish. I kept coming back to it but more questions were raised than answers given. It's a wine which seems to lose its shape and comes across a little bitsy in some respects. I couldn't finish a glass even after several hours open in the decanter. This is a big boy. Whilst the 2013 was quite measured, this has brut strength. Bold dark fruit, specifically red plums, blackberries and mulberries, puckering tannins dry out every drop of saliva from the mouth. I almost get the sense that the tannin is sprayed finely around the mouth to coat it. It's a meal on its own and needs a chunk of steak to cut through. I liked this so much I bought one to bring home with me. Gems like this which are Cellar Door only wines and earn their stripes need not to be missed. John Rymill drove me past this vineyard after we tasted the wines at the cellar door. It's great to get a perspective of the land and where the vineyards lie. Interestingly to note, the fruit here is picked a week or two later than those up the road. 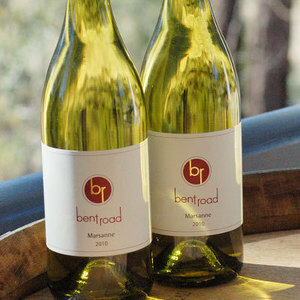 A single vineyard wine, it is grown on sandstone not the Terra Rossa soils commonly known to the Coonawarra. Hard to guess with a name like that I suppose. Layered and long are what I like best here. There's plenty of savoury drive but the fruit also plays its tune ever so precisely. Minty, eucalypt, dried Mediterranean herbs and dark chocolate all peel back to review something new. 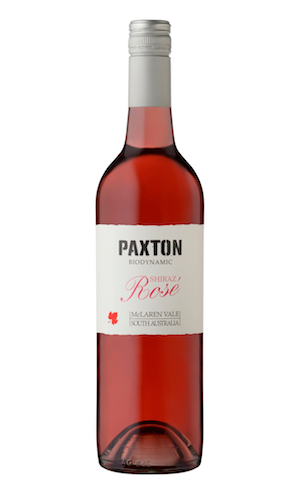 A touch of fruit sweetness is balanced by bright acidity. Long to finish means plenty of time to savour the moment. And I did. Will cellar long term - exactly what I intend to do. It's hard not to enjoy this. And time will be its friend so things are in good shape. A whiff of vanilla, figs, black olive. Black fruits are generous. Dense is probably a better word. A proud wine carrying itself with poise, you get the feeling it is hiding something under that thick skin. A little more time in the glass it opens up nicely. Tannins grip the palate as the fruit waltzes on. I can't help but to think of a rolled rib roast on the barbecue. Good value. Dark and brooding but juicy with a touch of fruit sweetness. There's a savoury edge with a lick of cedary oak too. Pretty attractive in many ways and easy drinking stuff which is readily available. Often found below $20 which makes it a solid purchase. Plenty of refreshment here. I don't generally drink samples poolside but it was freakin hot and this was charged to douse the fire. Limes, white flowers and chalky. 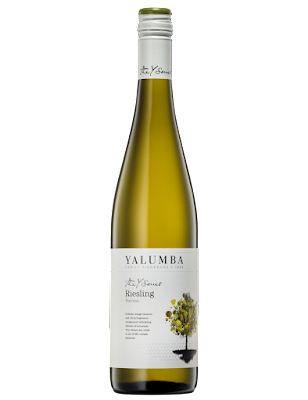 Lime pith lingers whilst tight acidity cuts a clear course for the fruit to roll through with ease. Summer time happiness. Another consistent performer from the Raidis stable. I might be wrong but the Hunter Valley is the only place in Australia consistently blending Shiraz and Pinot Noir. It's a throw back to the Hunter Burgundy days of old. Whilst not everyone is doing it, a few wineries have brought it back into vogue in recent years, Meerea Park chipped in with their version in 2010. And the result? In a word - delicious! A 65/35 blend, juicy red fruits hustle through followed by earthy characters and moving to a dry and chalky type finish. The Pinot brightens things up and the Shiraz adds some depth. But not too much depth, a good balancing act. Mouth puckering and whip cracking acidity, this evolves nicely the longer I let it sit in the glass. A little more time will reward here. Summer steaks and tunes and a glass of this will do me. A good drink but nothing here to make me do cartwheels. Light in appearance, it looks a little cloudy. Cherries and red fruits, the usual suspects here. On opening a methanol type aroma appeared but it blew off with more time in the glass. 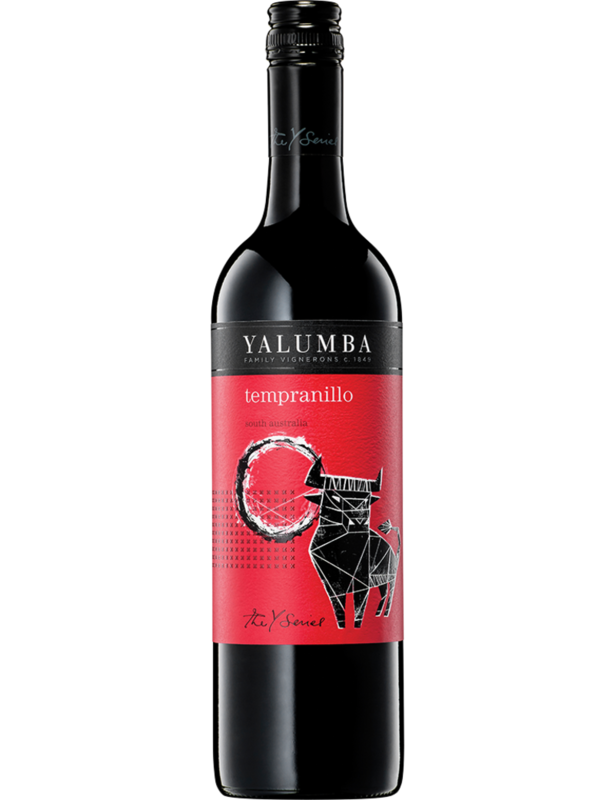 The lighter side of medium bodied, and whilst it is all fruit from the get-go, it finishes warm and spicy. And that spice just sticks. I'd have a glass but not much more. A new label to me and I like what I see. This is the third release of this wine. Wild fermented, a small portion saw oak. Peachy, a swathe of almond meal with a smattering of lemons. A handy substitute for Chardonnay for some I'd suspect. Tight citrus acidity. Plentiful fruit drives well through to a long textural finish. Worth grabbing if you can find it. We all need sophisticated friends like this Chardy. Damn it's fine. I had the pleasure of looking at it over a few days and it evolved beautifully. Fresh peach, cashews and vanilla get the senses excited. Plenty of creamy oak on first taste but that settles with time. Citrusy and flinty, the longer I left it the more the fruit just powered on. It's biscuity/brioche like late. Terrific balance and weight. I just wanted more but it's best drinking is still ahead of it. Yes it's Pinot Gris. Yes it's pink. Well, more salmon and copper really. Regardless, great to see the colour of the skins having some input with this Raidis release. Very slurpable, there's plenty here to keep you amused. Crisp but generous in delivery. What almost appears to be white fleshed peach aromas, pears flavours true to form and a subtle spice - sort of ginger, sort of pepper. Some weight keeps things things ticking away nicely too. It just has approachability and then some. A fab drink. One of those ladies you'd be proud to take home and introduce to your mother. Only early days here for what will be a long life ahead. Creamy vanilla oak hits me first up. Engaging aromas backed up by depth and gentle spices. Satsuma plums and dark cherries, it keeps chipping away. Soft with a never say die finish, I'd be happy to put this in my trolley any day. Will cellar long term but good to go now. Sunday was warm to say the least. And it was Valentine's Day - even more reason to get steamy and drink pink. This was bought off the list at the local golf club ($27) where a group of us caught up for a few bevvies, and I've gotta say, it hit the spot. Red berries deluxe; red currants, strawberries and raspberries and then some pomegranate too. Crisp, dry but refreshing, a sprinkle of black pepper to finish with a dab of residual sugar. Filling the glass up again was a non-negotiable. Handy value particularly with the chance of finding it under $20. Coonawarra is not all about Cabernet Sauvignon - there's plenty of great examples of Shiraz coming outta there. He's one which is tasty and easy on the $$. A fruit forward style, it caught my attention too as it had some similarities to a Yarra Valley Syrah '15 I tasted only days before it. Soft in delivery, juicy raspberries reign supreme. Some depth courtesy of blue fruits and plums give the impression there was whole bunches used but this I can't confirm. Oak rides in the backseat, savoury characters sitting to the left of the driver. That raspberry goodness just keeps the foot to the floor. Superb value - what you get for a lazy $15 is crazy good. Bargain. I could be wrong but I'm pretty sure this is the only Gewurztraminer in the Coonawarra. Of all the questions I threw at John Rymill when we drove around his 'hood a few weeks ago, that's one question I didn't ask. You've gotta love the whiff of Gewurz. This one has all the usual suspects - lychee, musk and pear. Turkish delight presents itself, tall shoulders back. Not as spicy as some, this wine just has easy drinking appeal. Dry, almost a little watery to finish. Pass the Malaysian or Thai. Drink within the next couple of years. Winemaker Glen Robert loves Marsanne and he has worked some magic here. I remember tasting this upon release with Glen in his shed. Whilst it was lively and fresh in late 2010, it still possesses a youthful exuberance but the hand of time has been placed on its shoulder. More mellow, it comes across softly softly. Bees wax and preserved lemon ride a wave of honey. Kerosene attempts to peer through as it heads over the crest into an aging phase. Hazelnuts kick in late. Well structured, the acidity still has some life. Fruit and minerality roll through with grace. Length for days. There's still years left in it. Lucky me I have another stashed away. The winery sold out long ago. Looks so filthy but tastes so damn good. Cloudy Apple juice in appearance, it's incredible what is going on in the glass. Each whiff and sip reveals something new. Crazy good. Aromas of sunflowers, marigold, margarine, pear cider, white flowers, even a little cheesy with creamy veneer. You can taste the skins at the death just for extra intrigue. But then there's apples and pear for good measure with an undercover nuttiness. Hectic! And I'm sure I haven't got 'em all and that's the beauty of this wine. Mouth filling deliciousness. Weight rides evenly all the way with a length lasting for days. Tremendously intriguing, inquisitive folk won't lose here. 2014 didn't make the Yarra Valley's Top 5. Wet weather leads to poor flowering leads to smaller cropping levels... You know the drill. What was salvaged to get this in the bottle is deserves an approving nod. Light on, red berries, compote, with an earthy undertow sums this up best. Fruit driven, only 10% new oak used. Engaging depth and some bitey peppery spice. Crunchy type acidity sits high up on the palate but settles with time. It's more softly softly on day two. Something you could snuggle up to on a cool autumn evening. Cellar medium term but good to go now. Vermentino has just been taken to places it's never been. This Vermentino sat on skins for 203 days. That's not normal. Michael Papps says he wanted to create something, "Textural, funky and a left field style of Vermentino." Tick, tick and tick. Smells of lemon sherbet lollies, fortified Verdelho, rockmelon husk, lemon curd and a dash of lemon pith open proceedings. Looking at the glass it is a far cry from the clean polished Vermentinos on the market. The palate is all texture and well balanced weight. It's skinsy and there's a firmness to it giving off some masculine grunt without being too over zealous to be a turn off. Simply, it's just interesting yet I'm sure it won't be everyone's cup of tea. Only 500 made and I'm pleased I had the opportunity to taste one. Here's cheers to those guys out there like Michael for giving traditional things a little shake up. 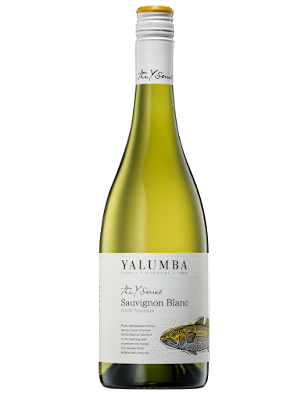 An unpretentious Chardy which is a reliable go-to. A good effort considering the issues 2014 delivered the Yarra Valley. 50% tank fermented and the remaining half fermented in barrel. The finished wine then sat in French oak for ten months, 10% of which was new. Almond meal, citrus, a lick of peach and some faint vanilla is cuddled by creamy oak with a reasonable finish. A wine which is not overly deep but not thin either. I wouldn't say no if offered a glass. I preferred this McDonalds Road Signature Shiraz to the Palmers Lane Signature Shiraz. Whilst the Palmers Lane is a classic Hunter medium body type, I gravitated to the deeper, juicier fruit and pretty aromatics of this drop. There's interesting differences in the vineyards too. The McDonalds ripens one to two weeks ahead of the Palmers Lane and is dry grown on clay soil. Violets, blueberries and purple fruits, sleek plumminess with a delicate dusting of pepper. The fruit is soft and glorious culminating in a finish for days. Cellar as long as you want. It's always an interesting exercise comparing wines form the same stable. 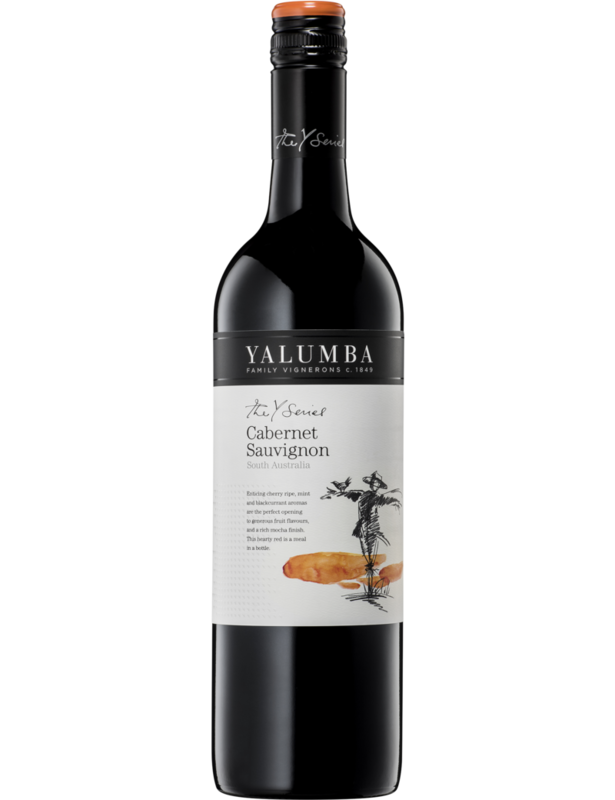 I tasted this alongside the McDonalds Road Signature Shiraz, and whilst the wines were made exactly the same, subtle differences come back to the vineyard from which they are grown. I found it a little tight before some air loosened the belt for it to relax. Hello day two and it was drinking magnificently. Bright red fruits came to the fore whilst earthy characters were prominent. I asked winemaker Rauri Donkin whether it was grown on clay as I felt it came through in the wine. I was half right :) Red clay over limestone he says. Savoury characters frame the core. A lick of chocolate and shimmer of peppery spice to finish. Superb medium body weight (13.7% alc). Bliss. Quite light in the glass, kicked up red earth, dark cherries, raspberries and something twiggy roll about with ease. Looks can be deceptive but this packs more punch than you'd guess. Before all is gone a wash of vanillin oak caresses the palate finishing with a dab of spice. I could sink a couple of glasses based purely on its approachability. Ai Fiori means amongst the flowers so the back label tells me. Shiraz and Pinot Noir are used with a splash of Savagnin. Red berries with raspberries and strawberries leading the way. Red flowers and dried petal type aromas release an engaging perfume. A whiff of Bickfords Raspberry cordial tries to nudge its way into the fray. A taste of this and all I want is sunshine and bbqs. The berry fruit skips to a steady beat. 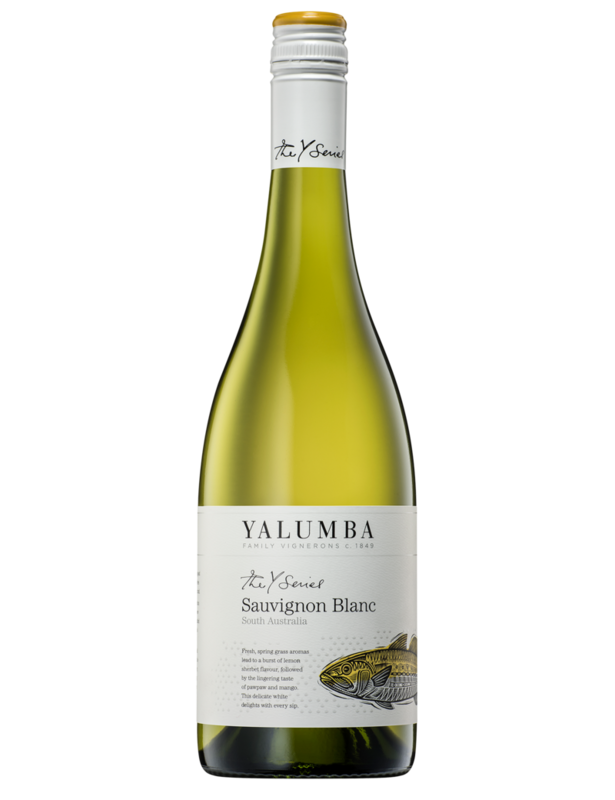 Bone dry with well balanced acidity, the savoury finish wraps it up well. Chill it hard and share with friends wearing big smiles. Solid as a Hilux. This is just reliable and good drinking. Honeysuckle, peach, pear, a little nuttiness and the rattle of ginger spice pushes through on a layer of creaminess thanks to six months in oak. Lots to like. I'd be interested to see how this ages but it's certainly ready to rip into now. A bit stinky initially. Mushroom compost amongst others things blow off after time in the decanter. 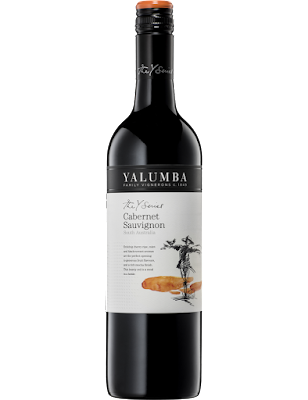 Loaded with black fruit, blueberries and dark cherries, there's plenty of depth but it still holds its medium bodied shape. A fine sprinkle of pepper hums through to a long finish. Twenty percent whole bunch fermentation has added some textural interest. Some oak seems to poke through but perhaps a little too much. In the end it needs air to show its best but will mature into a better wine. Will cellar long term. I'd be interested to see where it is in five years but I wouldn't buy one just yet. Gee I like a surprise and we have one here. A Chardonnay Viognier blend (50/50), the fruit is hand picked from a Dixon Creek vineyard before being co-fermented and aged in French oak for four months. Smells of yellow flowers, canned peach, fresh apricots and margarine. I'm liking it already. Delivery is generous with good weight, there's plenty of depth and interest. The fruit drives through with refreshing persistence. Mandarin peel shoulders its way in but sits in the background. But I keep sticking my snoz in the glass. Superb aromas. Whipped butter like creaminess drapes itself around the fruit leading to a delicate ginger spice finish. Tasty stuff. and super drinking for the $$. An eye catching label which oozes shelf appeal. It stands out for all the right reasons. The contents are fab too. Made from the Savagnin variety which calls Northern Italy home, it's almost clear in the glass with a golden straw kiss. A whiff of pears, lemony citrus zip, subtle florals, honeyed notes and a spice tickle to keep you enthused. The fruit is deliciously mouth coating and moreish. Wines like these generally go well with food. Forget the food, I'm happy for it to steal the spot light and fly solo. I'd happily queue up to grab this time and time again. Ideal for the warmer climate. More please.